No need to ad-lib your pre-event promotions! 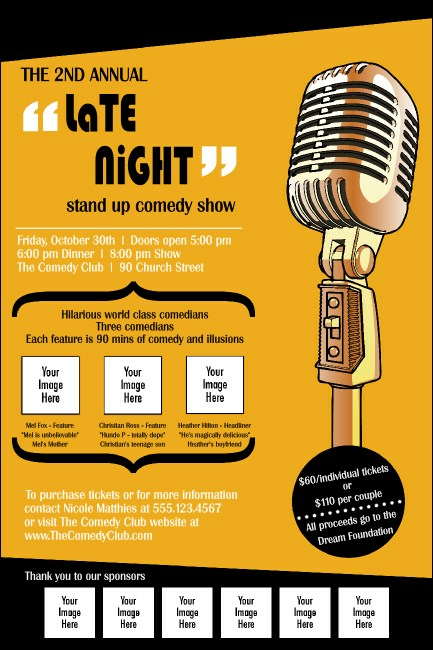 Keep your event advertising slick and organized when you print Comedy Retro Microphone Posters in advance. With space on the temeplate to upload nine of your own personal images on an orange and black background with a shining, old-school microphone, these Posters will help keep your bit rolling! TicketPrinting.com helps you deliver great material.